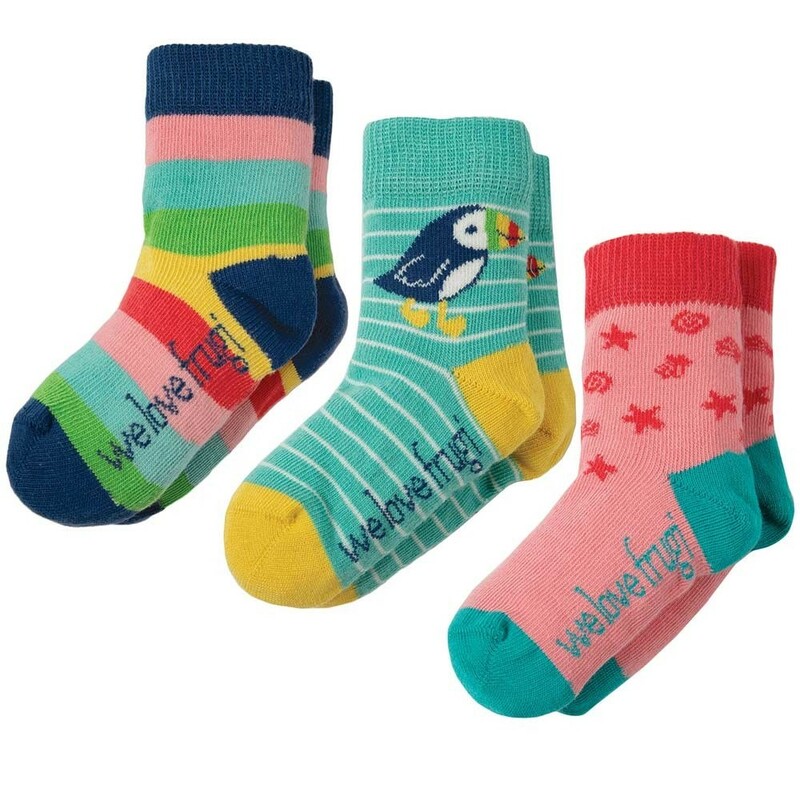 Tots will love this colourful Frugi Little Socks multipack - three pairs of organic cotton socks for babies and toddlers with contrasting heels, toes and rib cuffs. 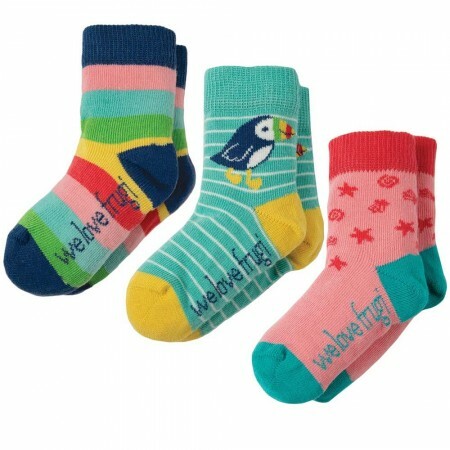 One pair has bold rainbow stripes and navy contrasts; one pair is turquoise with a puffin motif and yellow toes and heels; and one is pink with a shellfish pattern and turquoise toes and heels. 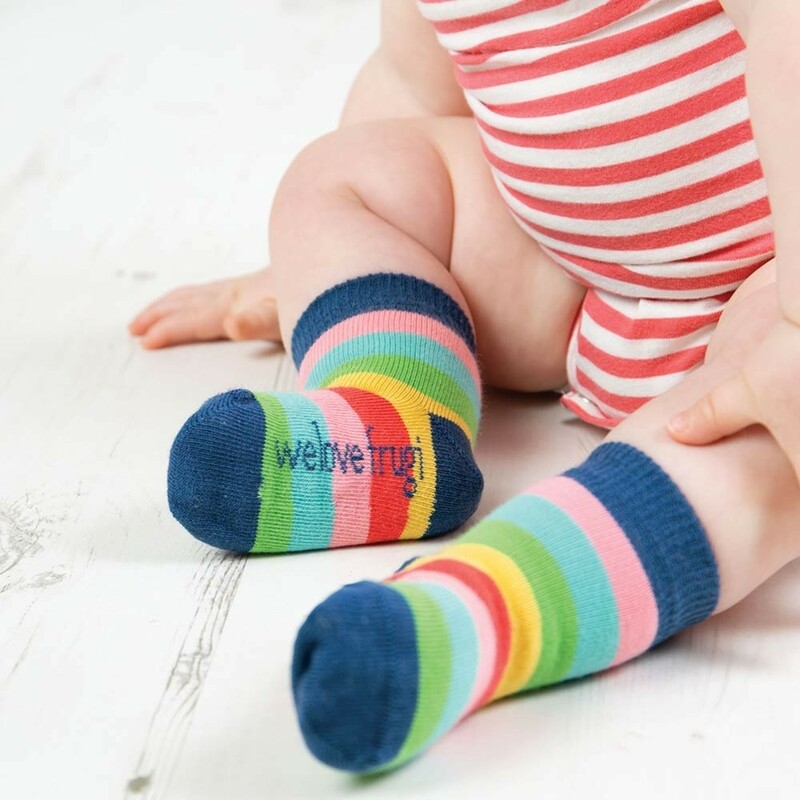 Ethically made with soft, fair trade organic cotton, these organic socks feel lovely on growing feet and are the perfect accessory to a stylish, eco Frugi outfit. 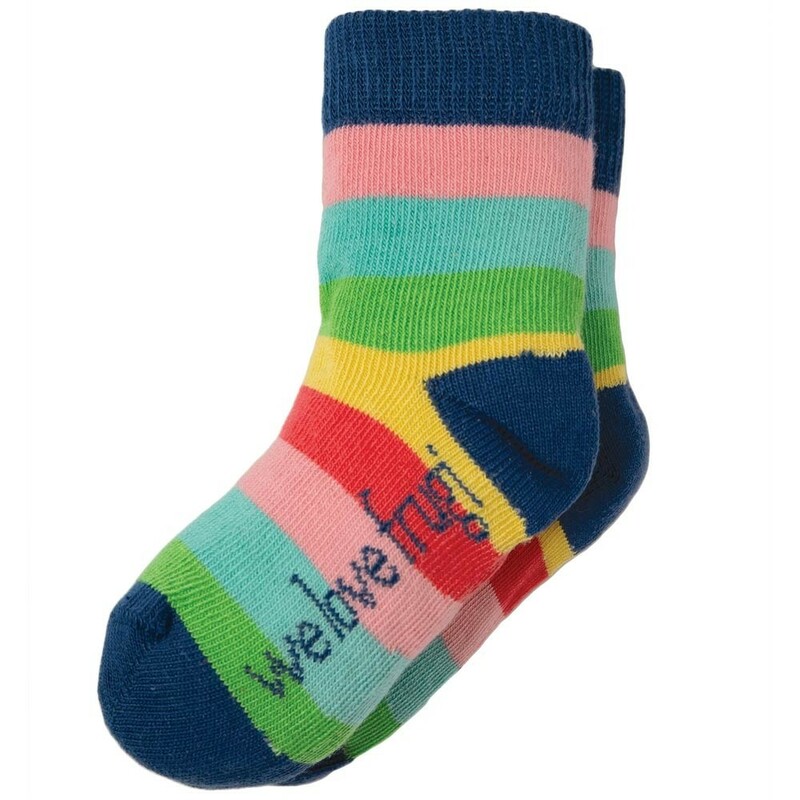 These Frugi socks are kind on delicate skin, eczema-friendly and sustainable too. 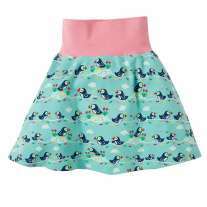 Frugi children's clothes are a hit with green parents who want to buy natural, sustainable baby clothing. 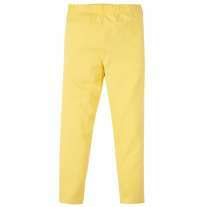 Bright and colourful with super ethics, embrace the ethical fashion revolution with Frugi. 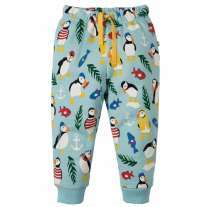 These Frugi baby socks are made with 90% GOTS organic cotton, 8% polyamide and 2% elastane.